The Cherokee County Junior Livestock Show was a highlight of my youth from the time I was around 8 years old until I was 17. I showed broilers, of course. 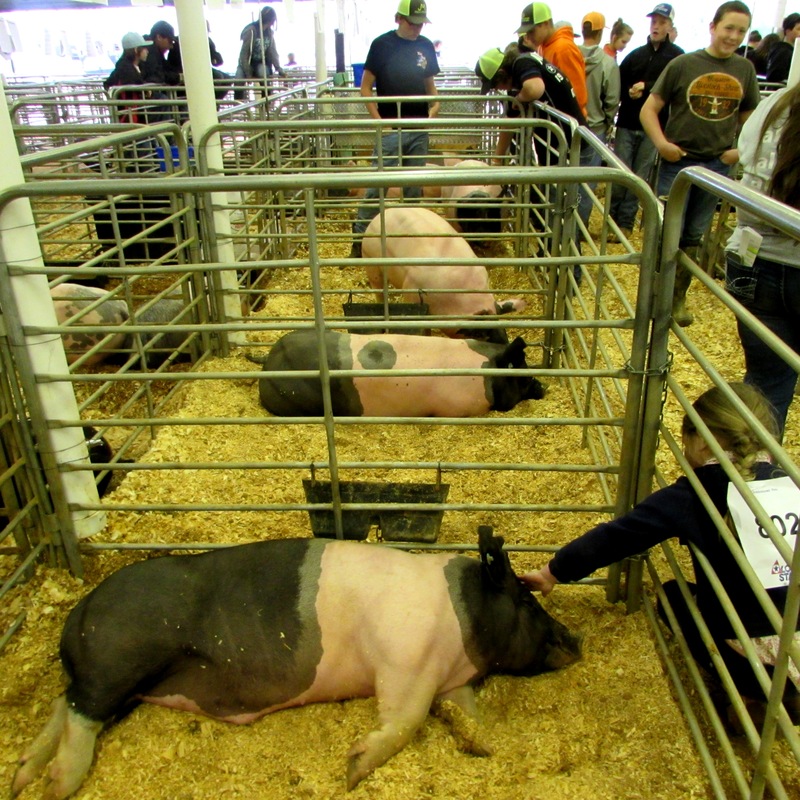 Always held in late March the weather is cold, windy and wet but never enough to dampen the lively atmosphere and contagious excitement of hundreds of happy 4-H and FFA kids. 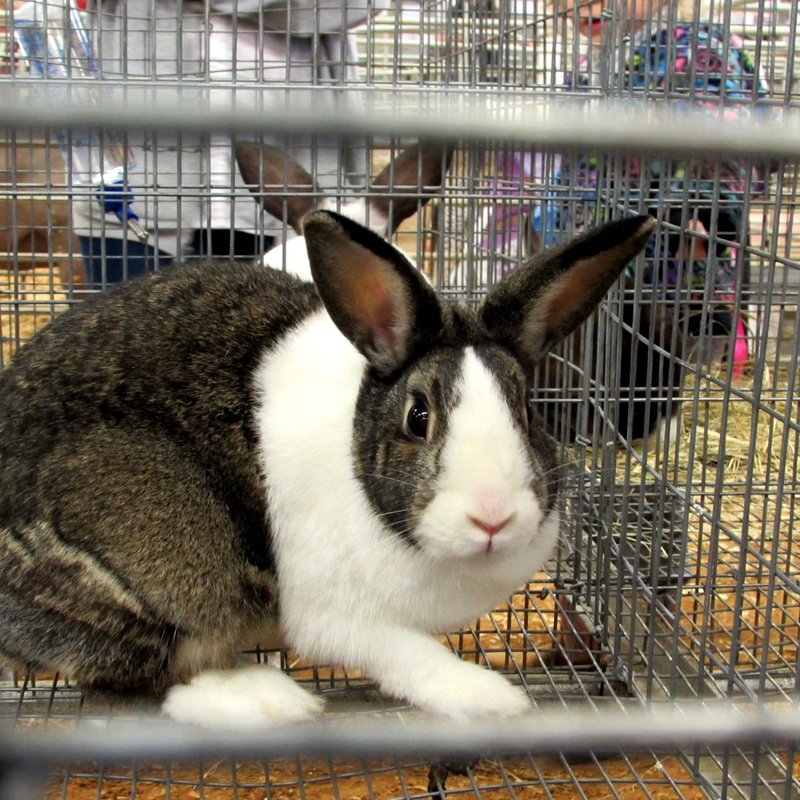 The competition is keen and the effort put forth obvious in the well-groomed and (mostly) well-behaved creatures. As an adult I’ve served as Chicken Chairman, Barn Secretary and Expert Concession Stand Nacho Maker. I thought this year I’d avoided all responsibility (other than helping Addie of course). Not so. 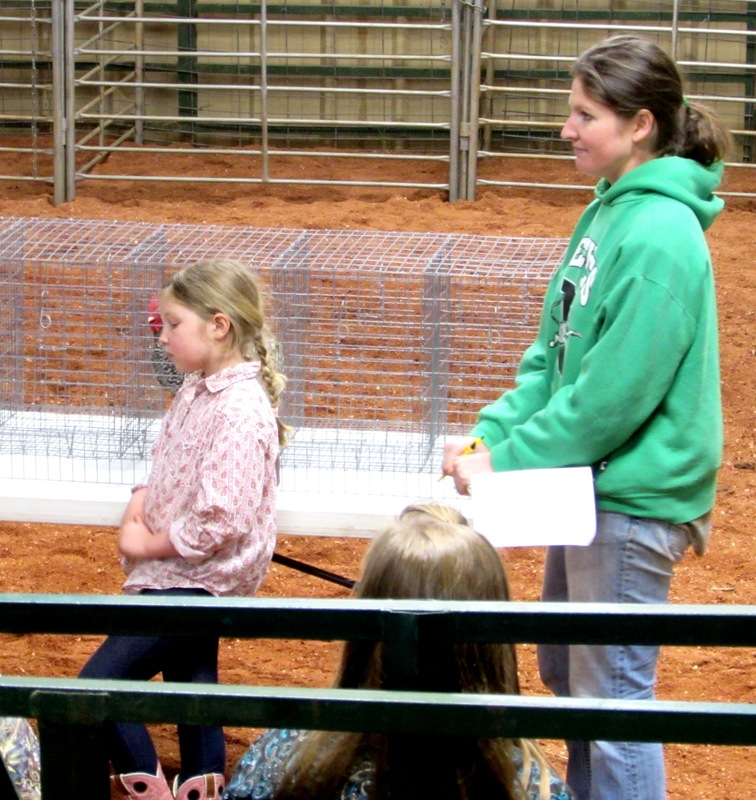 I ended up in the show ring a good hour following the poultry judge around with a clipboard. Which was actually kinda fun! The rest of the time I ate nachos prepared by someone else and took pictures of the goings-on. 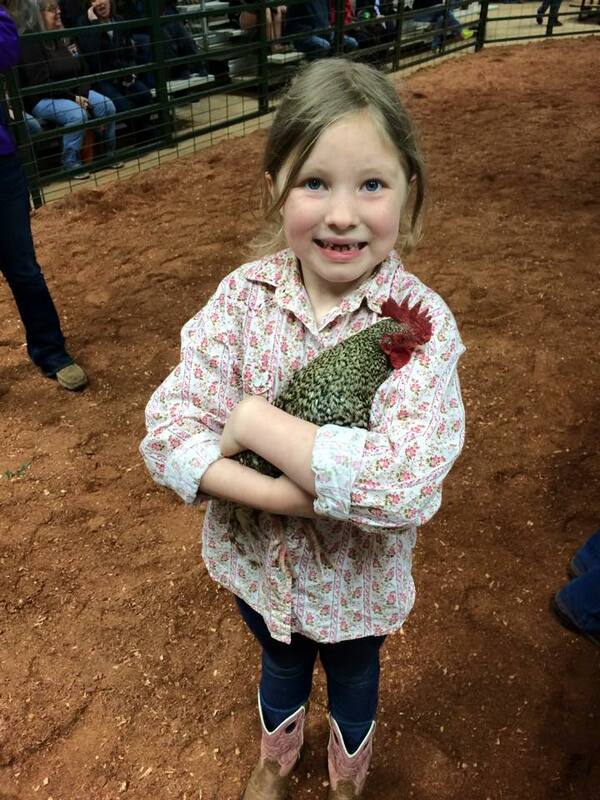 But first, the pledge and the Chicken Show! 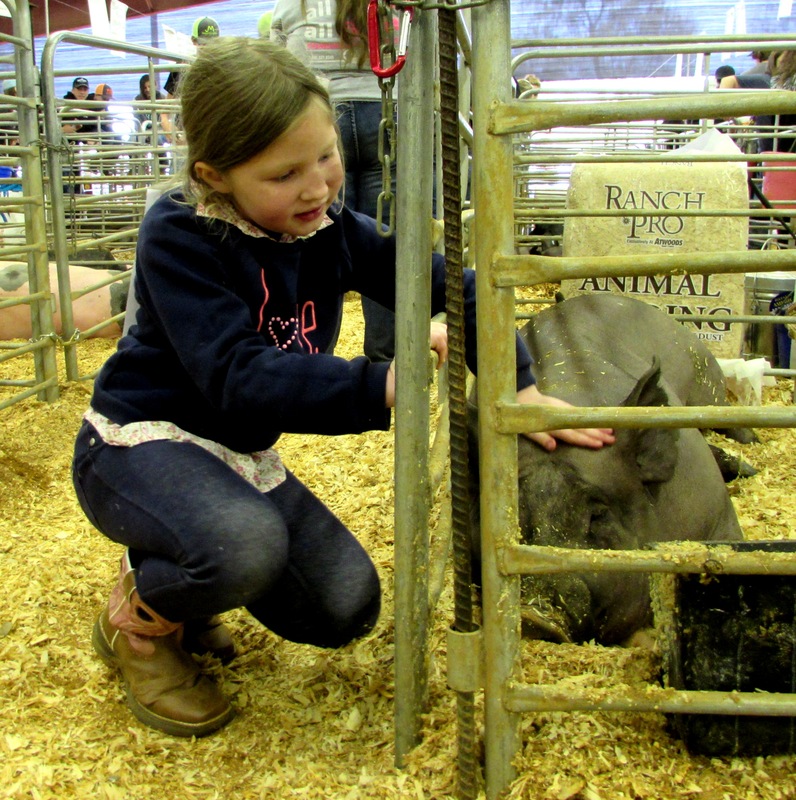 In case you aren’t familiar with Junior Livestock Shows here is the low down. There are 3 age classes, PeeWee, Junior and Senior. The PeeWee’s are all under 8 years old and they all get blue ribbons and little trophies. 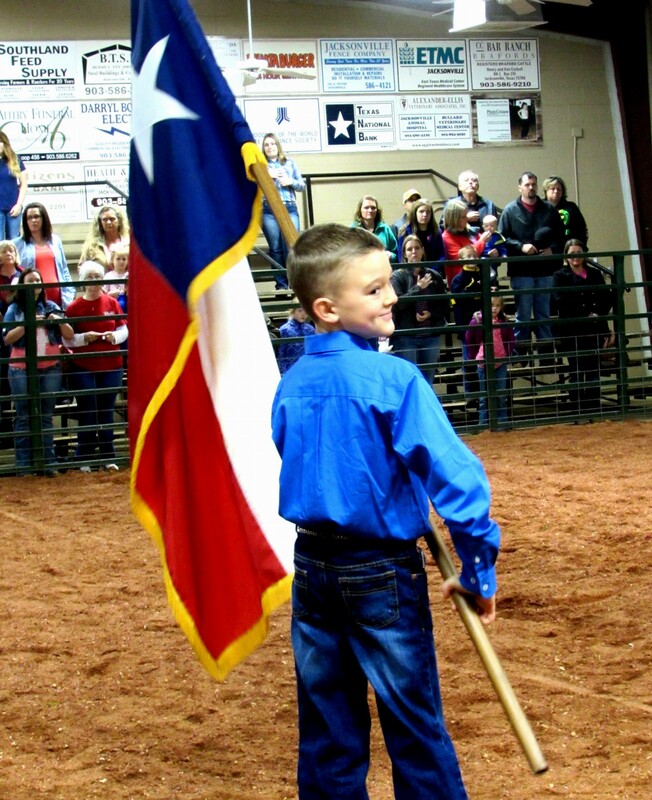 The older kids compete for Grand Champion, Reserve Champion then are placed accordingly from first to last place. 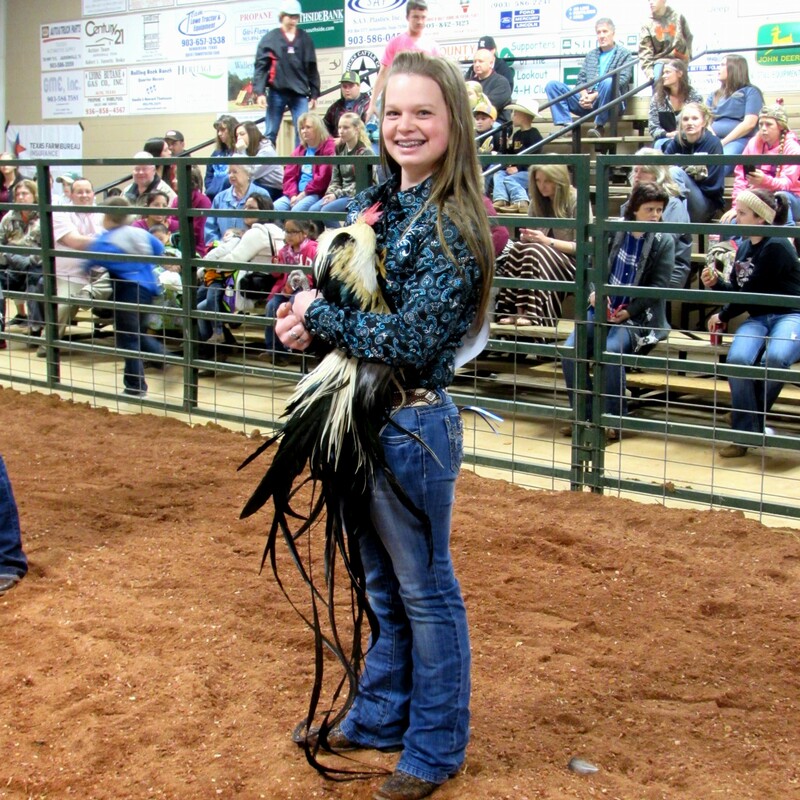 There are also Showmanship classes in which the kids are judged by their knowledge and conduct. 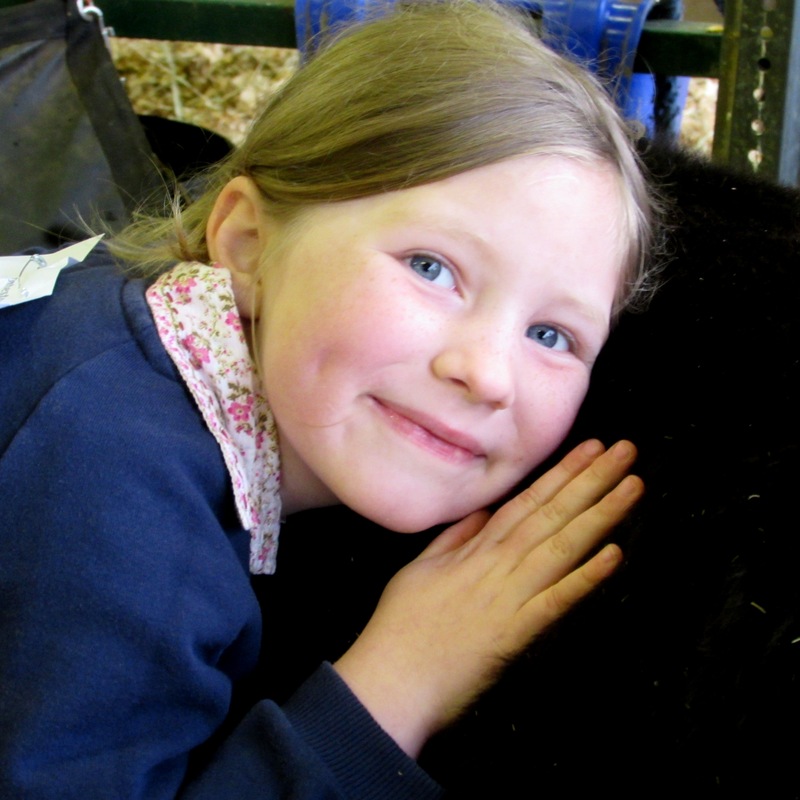 At our show we have Breeder Chickens, Broilers, Rabbits, Lambs, Goats, Pigs, Dairy Cows, Beef Cows, Horticulture and Shop. Something for everyone! Yay! 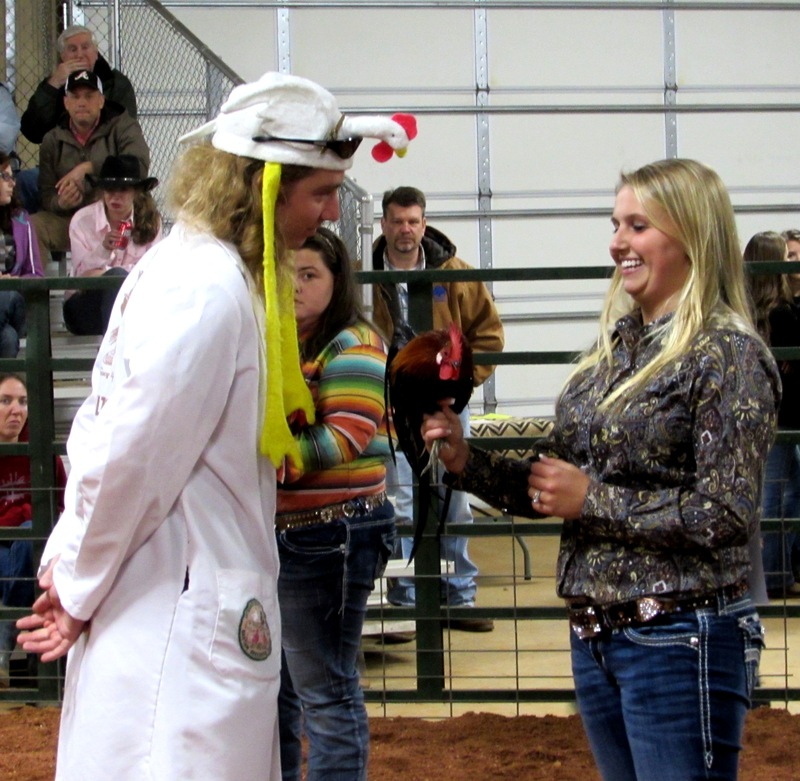 Our Poultry Judge travels here with not only a head full of knowledge but an epic hat to contain it. I mean, who could not love this hat? I want one. My husband might disown me but I think it would ROCK! Check out the tail on this Grand Champion Rooster! I want one of these too……. 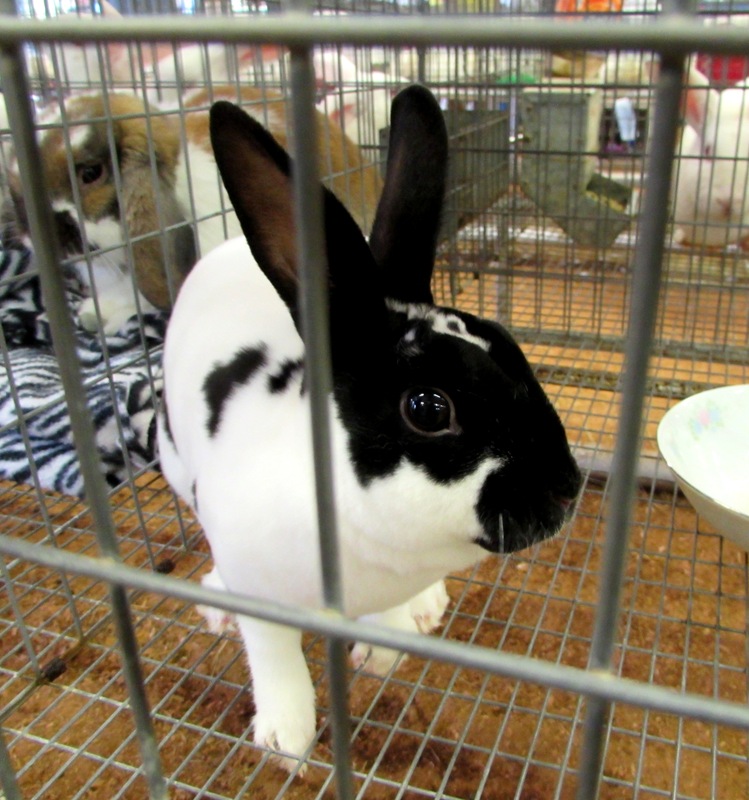 Here I am with Addie in the show ring. Had I known I was going to be in front of everyone I’d have dressed up a little. I think we may have to show a cow next year. 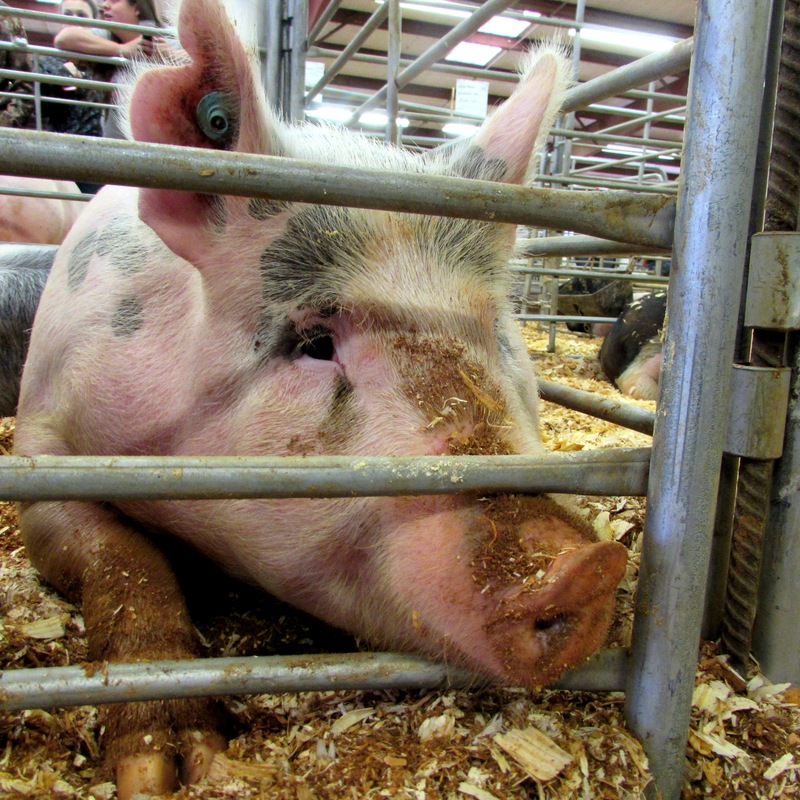 Or maybe a lamb or goat……..
And I wouldn’t mind a pig. Neither would Addie from the looks of it. Or maybe we should just grow a plant. 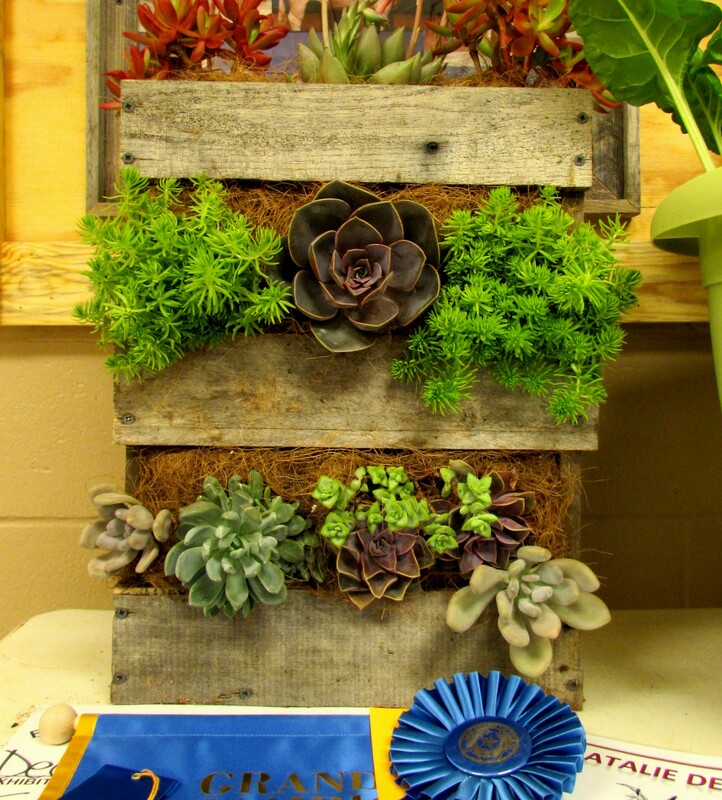 Grand Champion vegetation right here my friends. While the show lasts three days I was only able to cover the first one, next year we may be more ambitious. I grew up showing horses in small shows and then showing llamas all over the Midwest. Wouldn’t trade it for the world. What a great experience and fun day! Thanks for sharing the wonderful pictures. Love it! My kind of people! The salt of the earth! No bling pants for you, Rachel???? LOL!